Centara Blue Marine Resort & Spa Phuket is a hillside 4 star Phuket property perfectly located far enough away from the action for privacy and seclusion, but close enough to local beaches, restaurants and shopping. With a range of rooms and resort facilities to suit couples and families this is a great Phuket accommodation choice. 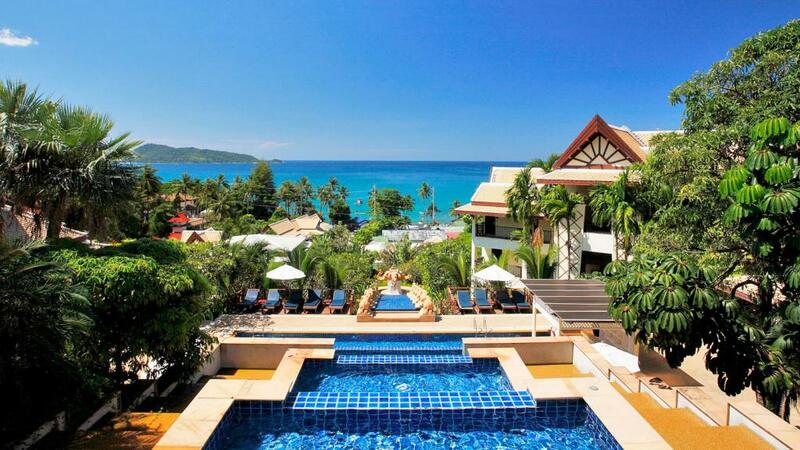 Incredible Phuket: 2 Free Nights! Centara Blue Marine Resort & Spa Phuket offers a great range of rooms for couples and families alike, along with fantastic resort facilities including swimming pools, restaurants and bars, WiFi and a games room. This affordable Phuket accommodation boasts a stunning location overlooking the Andaman Sea and it just minutes away from the hustle and bustle that Patong has to offer.